It’s interesting to note that I haven’t changed any files or directories on OneDrive. Actually, this OneDrive is dedicated to Duplicati. 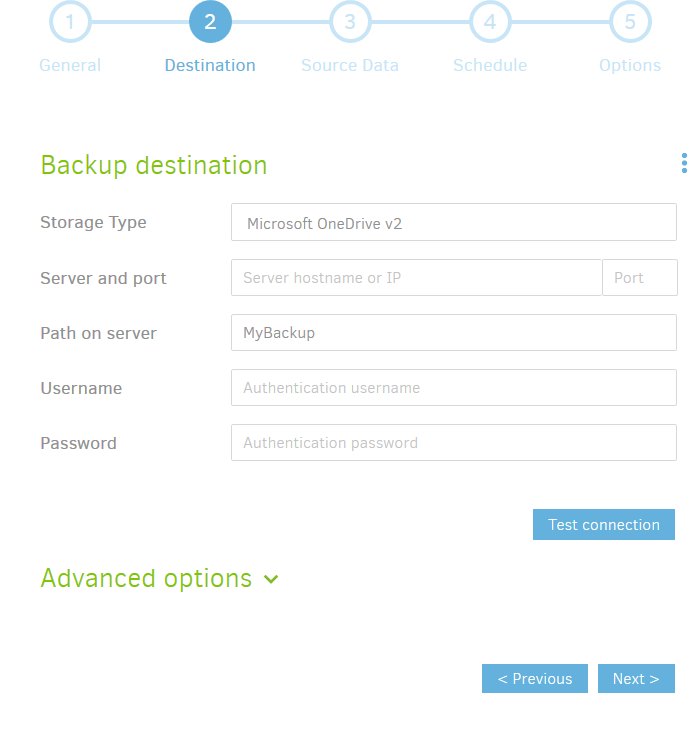 @samh I have the same question as @manu: How to configure Microsoft OneDrive v2, that you said is working OK for you. Latest version of Duplicati running. I see the Duplicati APP in the list of authorized apps on my MS account. I use a separate account only for backup. The BKP files are still on the backend. 99% sure MSFT changed something in their API. 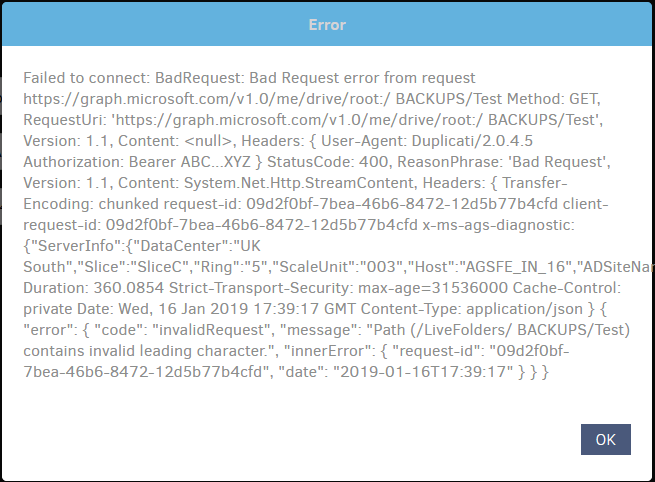 I’ve had exactly the same, nothing has changed from the usual routine but both OneDrive backup sets failed with this error last night. Or OneDrive just changed its communication protocol ? That was announced. Maybe it finally happened. For Duplicati OneDrive, this means switch to OneDrive v2. these APIs are now end of life and will no longer be available after November 1, 2018 . To switch, I think (besides editing the job to change the Storage type dropdown from Microsoft OneDrive to Microsoft OneDrive v2) you probably have to get a new AuthID but you can certainly “Test connection” first. Migrating “should” just be a dropdown change and probably a new AuthID. The Duplicati screen is the same. Between its Storage Type and AuthID is a Path on server (still). If there’s something more, please say where. Setting up OneDrive (personal) gives some information. Link goes to a post to address questions/concerns, however lack of OneDrive v2 in a beta release (as opposed to canary or experimental) was fixed by 2.0.4.5. The above How-To is possibly a better place to document any information generally useful to setting this up. Clicking on “About -> Check for updates now” did nothing. What should I do …? Probably the first thing to try when the web UI gets confused (as it might be here – did previous OneDrive look that way too, or is this coming from somewhere else?) is a hard refresh of the browser, sometimes Control-F5. There is some hope that a change after 2.0.4.5 will avoid the need to deal with browser caching quite as often. Control+F5 did the trick, thanks ! I had to re-do the AuthID, but now everything is working normally again. I’ve done the cntrl-F5 and re-auth but it still gives this error (Win-10, Chrome). Any other ideas on this? Can I try to change from onedrive to onedrive v2 without redoing the whole backup? With the version 2.0.4.5_beta_2018-11-28, you have to select OneDrive v2, then Ctrl+F5 if you see the old parameters (like on my screenshot above), and finally click AuthID and follow its process.